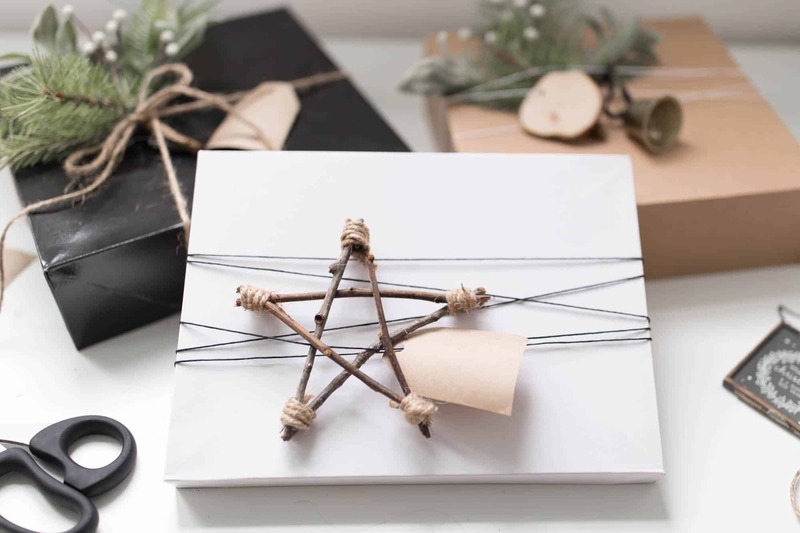 See my Minimal Christmas Gift Wrap with a DIY Twig Star. 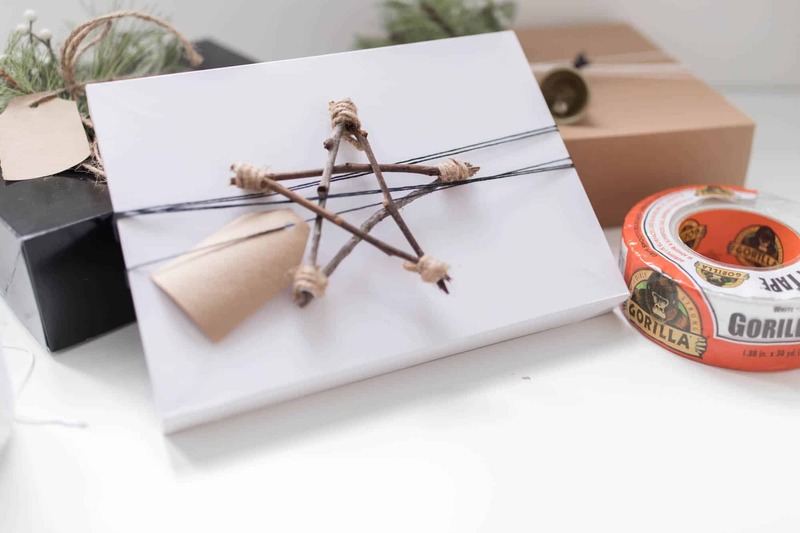 Learn how to make these Scandinavian Inspired Christmas twig stars with a video tutorial. This is a sponsored post written by me on behalf of Gorilla Glue. All opinions are 100% mine. 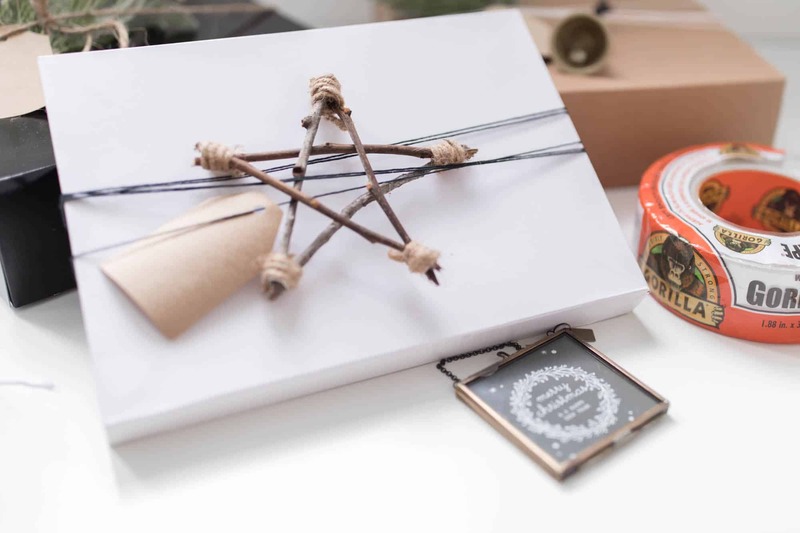 See my Minimal Christmas Gift Wrapping with a DIY Twig Star. 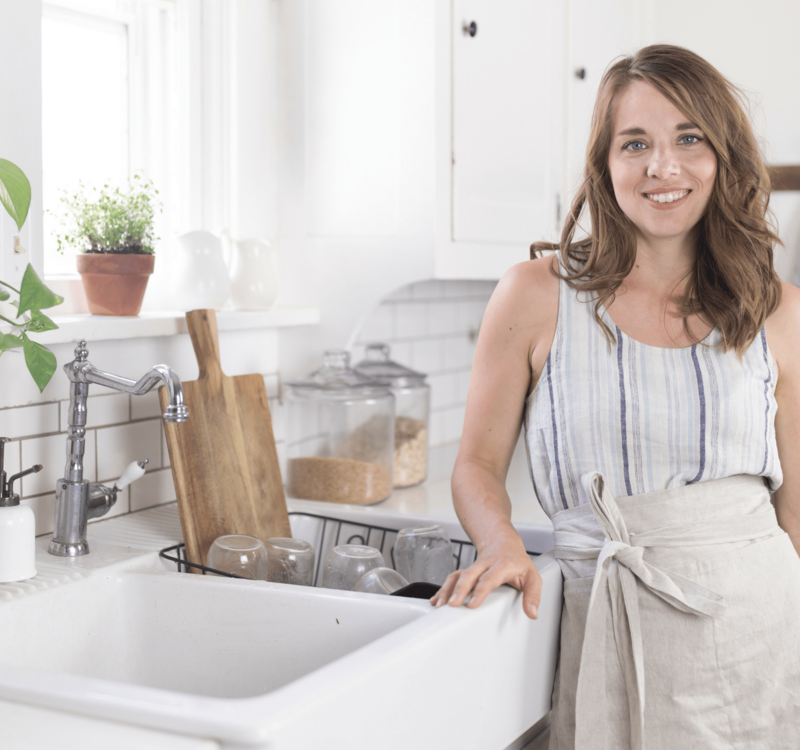 Natural elements, greenery and neutral colors is my go to in home decor through all the seasons. The same holds true for my Christmas decor. 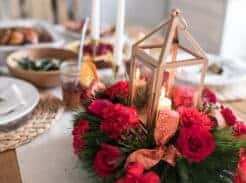 I wrote about my plans for a Scandinavian Christmas in this post. 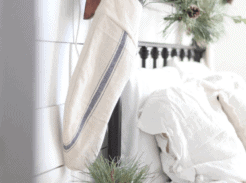 Scandinavian styles have an emphasis on handmade pieces, inspiration from nature and a lot of white. To incorporate more natural elements, I looked no further than the sticks laying around outside my house. I decided to make stars from the twigs. I liked the idea of adding jute twine around the ends to add more natural texture, but I didn’t think they would stay together very long with string alone. Gorilla Tape to the rescue! It works great on uneven surfaces, like wood. Nothing even about these sticks I foraged and snapped in half. The tape did the job beautifully. Be sure to read all the way to the end to enter the Gorilla Tape $250 Home Depot Giveaway! I finished the stars by adding twine over the tape. I snapped the twigs to five pieces approximately six inches in length I cut the Gorilla Tape in long skinny strips. For each star, I needed five strips. I started making the star by attaching the first two twigs together at the top in a triangular shape. Next, I added another stick to the bottom of one of the first sticks in the bottom right corner and connected it with another skinny strip of Gorilla Tape. I then attached the fourth stick the third stick in the same way. Finally I added the fifth stick, which I attached to the fourth and the first, to complete the star. Make sure to choose sticks that are no longer green. I made the mistake of making one of the stars with some very green wood. It turned out beautiful but the stick was difficult to snap to make the right size. Keep the thickness of the sticks very similar. For most of the sticks outside, I could only use a certain portion. The top part was usually too thin and the bottom too thick. To keep the stars uniform, I used only sticks that were about the same size in diameter. Choose the straightest sticks you can find. Curvy sticks won’t make very nice stars. 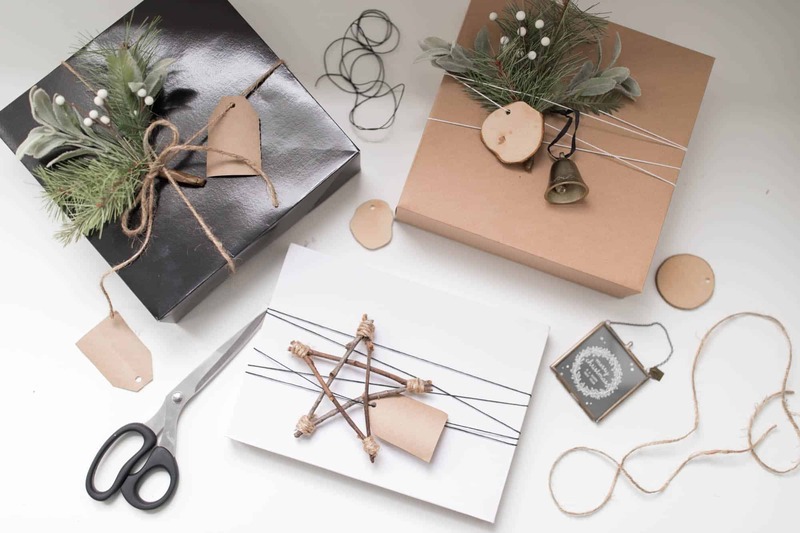 These DIY Twig stars look beautiful in my minimal Scandinavian inspired Christmas plans. 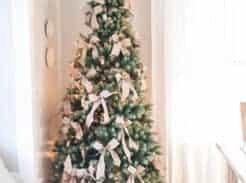 I thought about stringing them onto a long strand of jute for a twig star garland. They would also look beautiful as ornaments on a tree. I ultimately decided to use my first batch of twig stars in my Scandinavian Christmas gift wrap. Check out this post to get more info on my Scandinavian Christmas Gift Wrap. This post was sponsored by Gorilla Tape. See my full dsclosure HERE. Love this idea! My teenage daughters both really enjoy making decor creations from nature. I can’t wait to show this to them so we can get busy making stars for our packages and ornaments, too! Great post, Lisa! Very pretty! I really like simple things these days. I’m hoping my grandchildren will help make these with me. Those are beautiful, I am going to have to make some, thanks for the tutorial. Such a fun idea! Nice to make something out of the mess in the yard:) can’t wait to make these! My 11 year old daughter whipped up a bunch of these stars in wreath size a few years ago. Love the simple and natural look and feel of these and that kids can make them too! I will be making some stars for Christmas. I’m so glad you’re going to try it! Have fun!